Members of the MJC Women’s Forum will be travelling to Turkey this weekend to assist with distribution of relief aid to Syrian Refugees on the Turkey/Syrian border. Two relief containers were sent in March from Cape Town Harbour to Mersin Port in Turkey. The containers will now travel overland to The Foundation for Human Rights and Freedoms and Humanitarian Relief Agency (IHH)’s warehouse in Reyhanli. 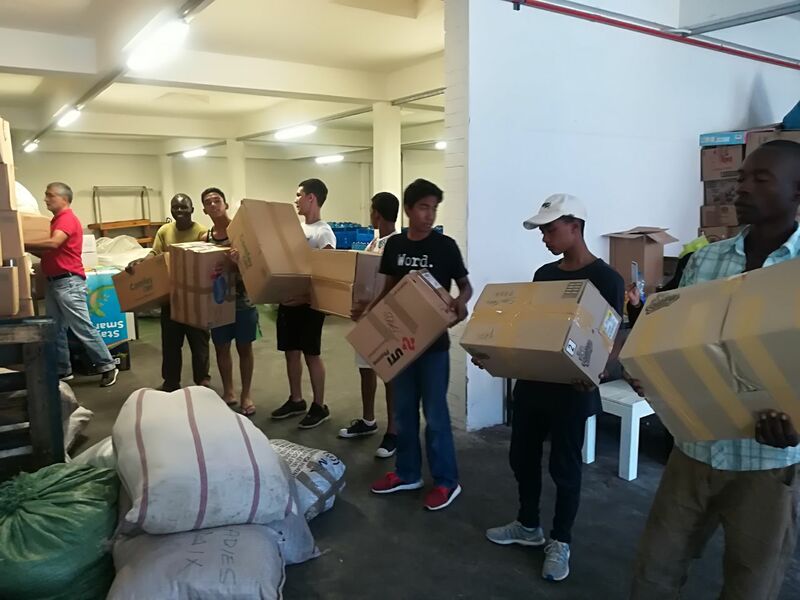 “Women have been rallying from all corners of South Africa over the past few weeks to fill the containers and finally we are able to assist the refugees with our own hands. It is indeed an honour and privilege to do this on behalf women who held this cause so close to their hearts,” Women’s Forum Chairperson Mualima Khadija Patel-Allie. The Women’s Forum volunteers will repackage the tin products and essential sanitary and baby items for Syrian refugees fleeing the eight-year-old war, under the guidance of the experienced staff of IHH. These family parcels will then be sent to refugee camps in Kilis, Reyhanli and others on the Turkey/Syrian border. When asked why the Women’s Forum specifically chose these items for collections, Mualima Khadija said that items of this nature are always needed. “IHH did a survey in the camps to understand what the needs of people are. There are many babies and children who need formula and nappies. Women are also in need of the basic sanitary pads and toothbrushes and toothpaste which we take for granted. When they ran from their homes because of the war, it was the last thing they thought of,” Mualima Khadija concluded. The third container filled only with baby products will leave Cape Town by the end of this month for distribution by IHH staff in July 2018.